Amaal Mallik is an Indian music director, singer and lyricist in the Hindi film industry hailing from a musical family (born on 16 June 1991). He is the grandson of Sardar Malik; he is the son of Daboo Malik and Jyothi Malik; brother of singer Armaan Malik and nephew of music composer and singer Anu Malik. Mallik started learning music at the age of 8 and took a liking towards the piano. He debuted in 2014 by composing three songs for Salman Khan's Jai Ho, following it up with the song "Naina" from Khoobsurat. Mallik is the elder of two children born to music director Daboo Malik and Jyothi Malik. He studied in Jamnabai Narsee School and completed his graduation in Bachelor of Commerce from N. M. College in Mumbai. He studied piano and completed his course at Trinity College of Music (Western Classical, Jazz & Rock) under the guidance and training he received from teachers including Benny, Xavier Fernandes, Tony Pinto and Joy Bose. He also trained in Indian classical music informally under the tutelage of his grandfather Sri Sardar Malik. Mallik began his career journey at a young age. After completing his 10th grade year, he immediately went on to assist music composer and background scorer Amar Mohile for the soundtrack of Sarkar (2005) and Shootout at Lokhandwala (2007) at the age of 15, later moving on to producing and arranging music for his father in films like Sohail Khan's Kisaan (2009), for which he collaborated on a remix track of "Mere Desh Ki Dharti" with pop singer, Daler Mehndi. From 2008 to 2011 Malik assisted music composer Pritam on several film albums, alongside producing background scores for Sandeep Chowta and Salim-Sulaiman for films like Rowdy Rathore, R... Rajkumar, Saheb, Biwi Aur Gangster Returns, Heroine, Youngistaan, Ab Tak Chhappan 2, and Phata Poster Nikla Hero. His first outing as a solo background scorer was for Khwaabb, a sports film produced by PVR Pictures & Bullseye Entertainment, which won him good reviews. In 2014, he debuted as a music composer. He composed three songs for Salman Khan's film Jai Ho and a song for Khoobsurat. In 2015, he composed 2 songs for Roy. The song "Sooraj Dooba Hain", sung by Arijit Singh and Aditi Singh Sharma, was the biggest hit of 2015 and earned him a Filmfare Award for Best Music Director along with Ankit Tiwari and Meet Bros. For that song Singh won Filmfare Award for Best Male Playback Singer. Then he composed three songs for Ek Paheli Leela, two of which he composed with Uzair Jaswal, and one he composed alone. He composed a song with Badshah for the film All Is Well. He also composed a song for Hate Story 3 and two songs for Calendar Girls. He composed four songs for Hero, and sang "O Khuda" with Palak Muchhal. In 2015, he composed four singles including "Main Rahoon Ya Na Rahoon". In 2016, he composed a song for Mastizaade, two songs for Airlift (Soch Na Sake & Tu Bhoola Jise), three songs for Sanam Re(Hua Hain Aaj Pehli Baar, Gazab Ka Hai Yeh Din, Kya Tujhe Ab Ye Dil Bataye), one song for Baaghi, and two songs for Kapoor & Sons, including "Kar Gaye Chull", which he composed with Badshah. He also composed a song for Do Lafzon Ki Kahani, three songs for Azhar, a song for Sarbjit, a song for Baar Baar Dekho, and a song for Force 2. He was the main composer of M.S. Dhoni: The Untold Story. He composed the Hindi, Tamil and Telugu soundtrack of the film. He composed eight songs for the Hindi soundtrack of this film, and Rochak Kohli joined as a guest composer by composing a song for the Hindi soundtrack. In 2016, he composed a single which was sung by Shaan. In 2016, he earned two nominations for Filmfare Award for Best Music Director for Kapoor & Sons along with Badshah, Tanishk Bagchi, Arko Pravo Mukherjee, Benny Dayal and Nucleya; and for Baaghi along with Meet Bros, Ankit Tiwari and Manj Musik. In 2017, he composed two songs for Badrinath Ki Dulhania, of which he sang "Aashiq Surrender Hua" with Shreya Ghoshal; another was sung by Arijit Singh. 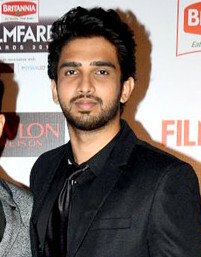 Singh won Filmfare Award for Best Male Playback Singer and Mallik earned a nomination of Filmfare Award for Best Music Director along with Tanishk Bagchi an Akhil Sachdeva. Mallik composed all the songs for Noor, and sang a song with Tulsi Kumar. He composed two songs for Chef, two songs for Golmaal Again, and two songs for Mubarakan; he also sang in the latter. He composed two singles in 2017, both sung by his younger brother Armaan Malik. In 2018, Mallik composed two singles, "Ghar Se Nikalte Hi" and "Ready to Move". Armaan sang in both songs. Mallik also composed a song for Sonu Ke Titu Ki Sweety. In 2019, Mallik composed two songs - "kyun rabba" (sung by armaan Malik) and "tum Na Aaye" (sung by KK) for the movie Badla - and became the youngest composer to compose for Mr. Amitabh bachchan. Currently Mallik is being featured as judge in the Indian reality singing show, SaReGaMaPa lil'champs. Mallik has composed music for over 100 advertisement jingles with directors like Prakash Verma, Kailash Surendranath, Prahlad Kakar, Vinod P Vijay, Jeet Surendranth, E. Niwas, Bauddhayan Mukherji (Little Lamb Films), Hemanth Bhandari (Chrome Pictures) for brands like Amul, Vodafone, Horlicks, Relaxo, Toyota, Cornetto, Indian Oil, Sunfeast, iBall, and Makemytrip.com. He composed the title track for Sony and Ravi Adhikari's Hongey Judaa Na Hum and also the background score for reputed television director Siddharth Sengupta and Sphere Origin's Show - 26/12 (Chabbis Barah) for Life Ok, for which he was nominated for best background score. Khwaabb - PVR Pictures & Bullseye Entertainment starring Navdip Singh and Simer K Motiani. Mallik composed these songs in single release under the exclusive contract with music company T-Series which were all produced by Bhushan Kumar. ^ Maheshwari, Neha (21 February 2016). "Amaal and Armaan Malik: Our father will get the success he deserved through us". Times of India. Retrieved 18 April 2016. ^ "My female fans call themselves 'Amaalians': Amaal Mallik". The Indian Express. 2 April 2016. Retrieved 18 April 2016. ^ "T-Series exclusively signs Amaal Mallik, Armaan Malik and Shrey Singhal". Bollywood Hungama. 22 May 2015. Retrieved 3 February 2016. ^ "MMA Mirchi Music Awards". MMAMirchiMusicAwards. Retrieved 26 March 2018. This page was last edited on 23 April 2019, at 21:08 (UTC).